Raspberry Pi is a small computer that costs between $5 and $35, but can function as a desktop computer or be used for additional functions, such as building smart devices. Originally, the Pi was intended for usage in schools as a method of increasing interest in computers among children and as a tool to teach them basic coding. 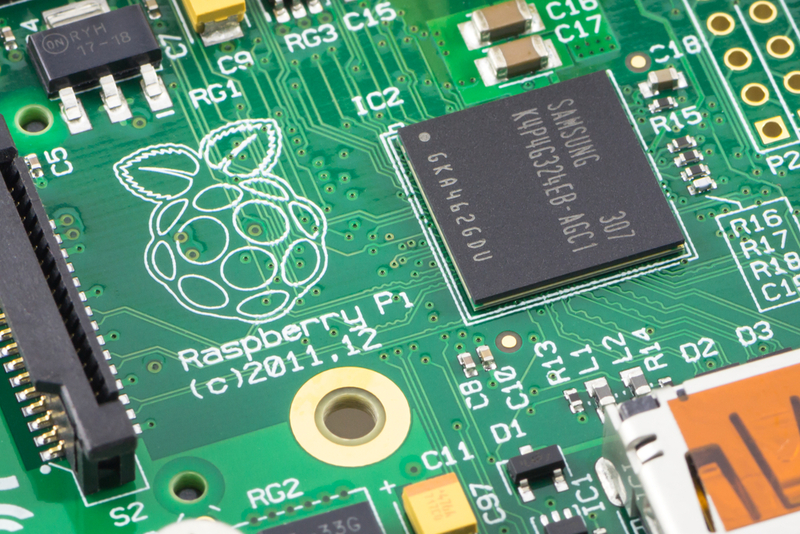 The Raspberry Pi Foundation was founded in 2008 by a group of technicians Eben Upton, Rob Mulins, Jack Lang, Alan Mycroft, Pete Lomas, and David Braben. Since the inception, the Pi has grown into one of the most popular technology items in the world, with over eight million units sold as of 2016. “The idea was that these tiny computers would allow for easy basic programming. Its low power usage and cost were expected to make Pis more easily available in classrooms.” The ‘Pi’ derives from the original idea to make a small computer to run only the Python programming language. Many have seen the microcomputer’s potential, extending its capabilities by adding a camera or touchscreen module. Model A (Pi 1) of the Raspberry Pi was launched commercially on February 19, 2012. It could run Linux-based desktop operating systems, featured 256MB of RAM and a USB port, but no Ethernet port. Since then, Pi 2 (2015) and Pi 3 (2016) were released, with Pi 3 being the best of the models. You can find detailed information regarding their features and capabilities online. The best model for your needs depends on what it will be used for. You may be surprised to know that there are two Raspberry Pi’s currently in space on the International Space Station as a part of the Astro Pi project. This project, run by British astronaut Tim Peake challenges students to write code for experiments he can perform in space. This is just one of many examples of the extensive capabilities of Raspberry Pi, not to mention its use as a supercomputer and underwater drone. With Pi, you can complete a variety of tasks that do not require much processing power and can enhance the small device with modules. It can help you save on space and cut costs, while learning new skills and adding capabilities. How can I learn hardware basics and programming? Raspberry Pi is also useful to those who are experimenting with hardware and are interested in working with a machine that is more affordable for their experimental efforts. Understanding computer parts can give you a better idea of how a computer operates, and this knowledge will allow you to make better decisions when working on a system. Raspberry Pi is an affordable way of learning basic coding and grasping fundamental computer components. Working hands-on with Pi can help individuals develop their practical skills and provide the potential for a wide range of capabilities with this device. Start experimenting, see what you can learn, and better yet, create!